Hi guys, I just want to share with you my review with Erase solution. Actually I have been using this for years and always present in my beauty kit. It actually lightens my scars but not literally erasing it since I can still see the cut in the skin that are already heal. Scars from wound or cut usually leave the skin a darker color when healed and this product turn that color into a lighter color. 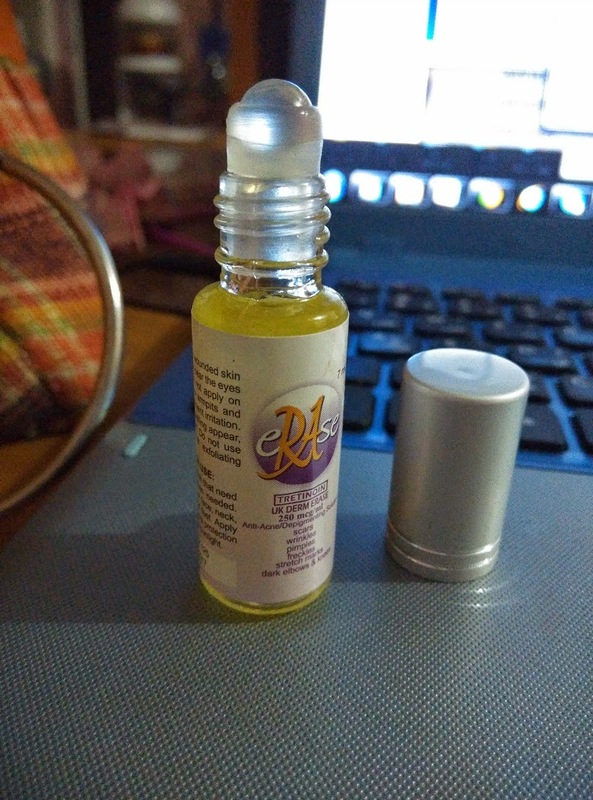 I bought the smaller roller that has 7 ml in it which I purchased at Watson for Php 99.00 and I think this is also available in all drugstores and department store. 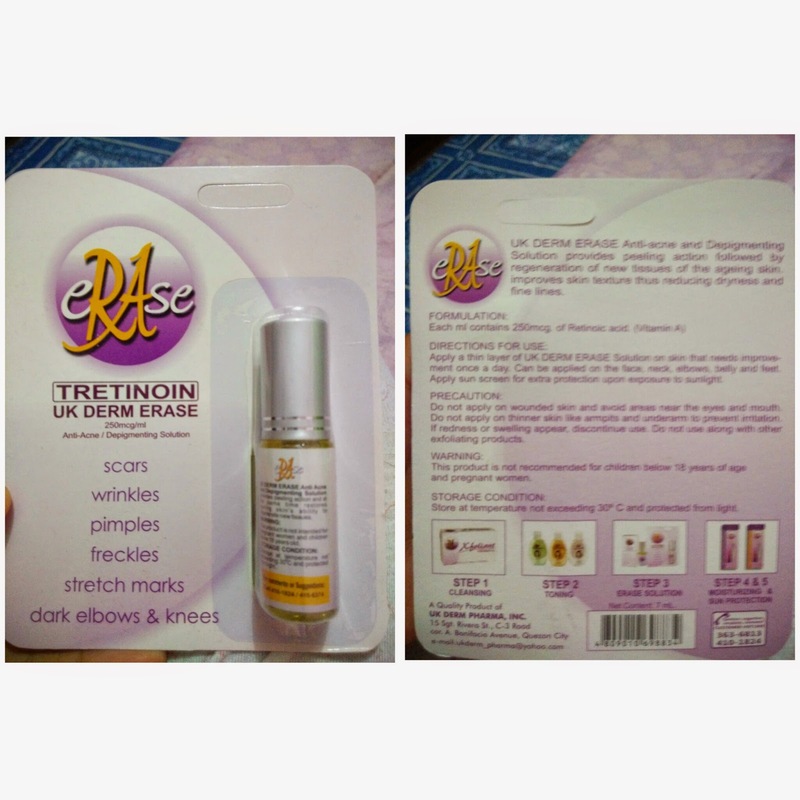 In the package it says Tretinoin UK Derm Erase 250mcg/ml Anti-acne and depigmenting solution for scars, wrinkles, pumples, freckles, stretchmarks, dark elbows and knees. In the back of the package it says: UK Derm Erase Anti-acne and Depigmenting solution provides peeling action followed by regeneration of new tissues of the ageing skin, improves skin texture thus reducing dryness and fine line. (Basta may tretinoin pang acne usually yan but I never use it purposely for my acne or pimple, I just use this baby mainly for the dark scars). 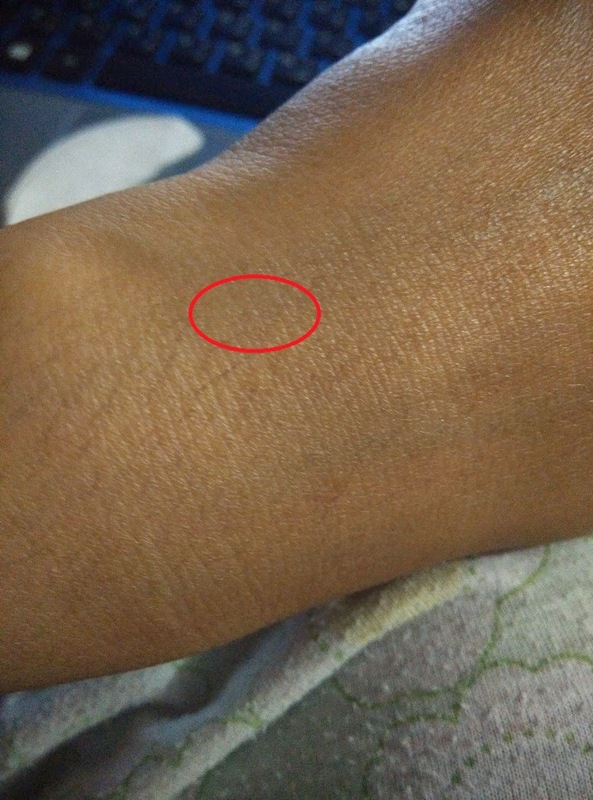 Above is the pic of the scars in my hand that already healed and lightened with the use of erase, sorry I cannot provide the before picture but I assure you that the color of this scar before is super dark skin and very annoying to look at. It is not noticeable now but when I stretch it I can still see the bump that the wound leave. My recommendation is 9 out of 10 and is highly recommended since it is cheap and you can use it for a very long long time (promise).